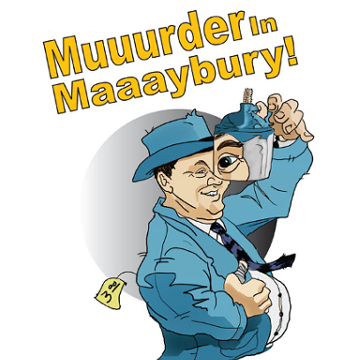 Muuurder in Maaaybury! | Jest Murder Mystery Co.
Aunt Dee is throwing a garden party to raise money to buy fertilizer for the Flower and Garden Club. Unfortunately, someone has tried to sabotage the garden spot! Who could it be? Aunt Dee? Otis? Andy? Or any one of numerous other characters that the audience members will play!